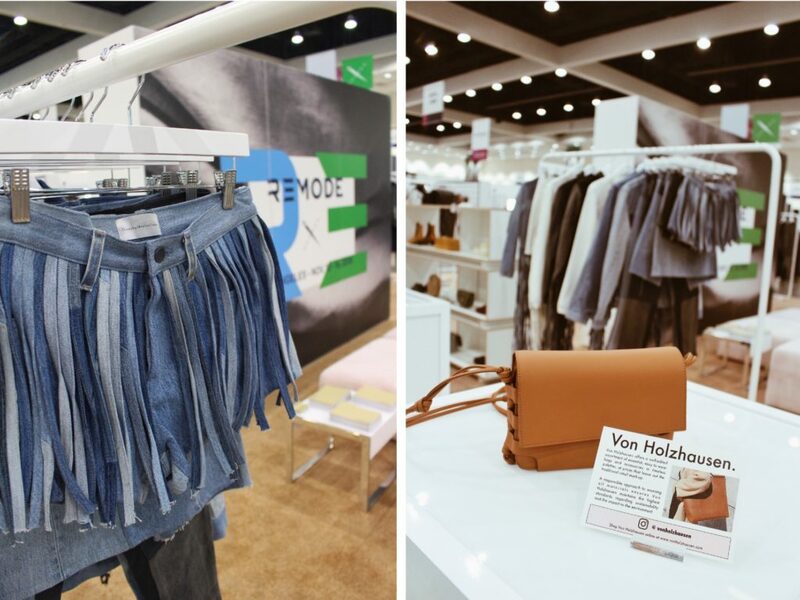 If you’re following us on Instagram @mochni_com, you most probably saw that we attended the 1st edition of the sustainable fashion summit ReMode in Los Angeles. But what kind of fashion event is ReMode and why will it contribute to shaping the future of the fashion industry? ReMode opens up discussions, sparks ideas and promotes collaborations with major players such as H&M, Target or ISKO™ – the world’s leading ingredient brand in quality manufacturing. Read more about our highlights in the recap below. 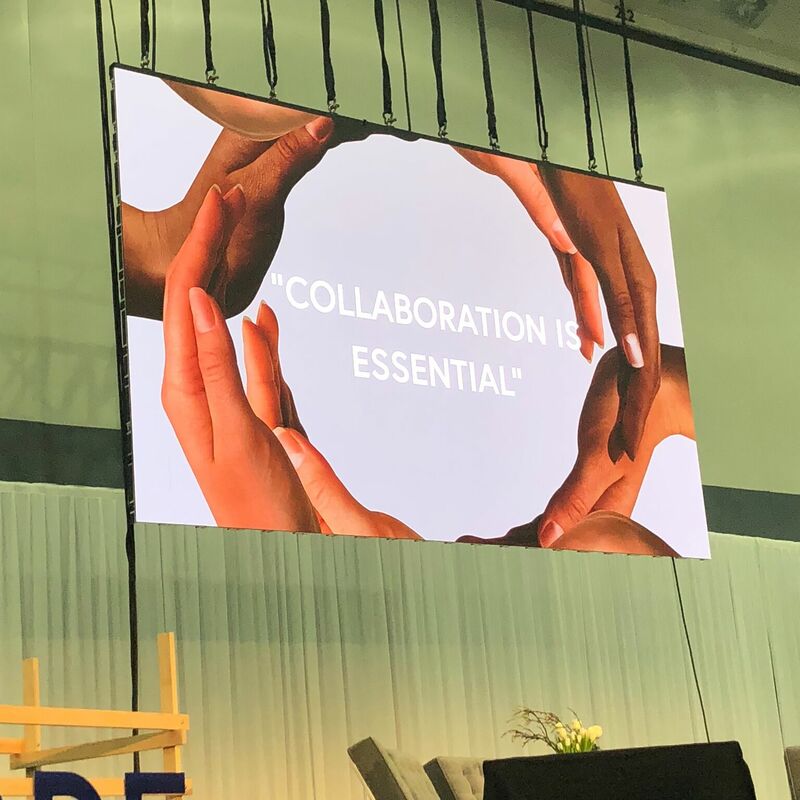 Founded by entrepreneur Pierre-Nicolas Hurstel, ReMode is a networking platform that brings people from across the fashion industry together to make a difference. 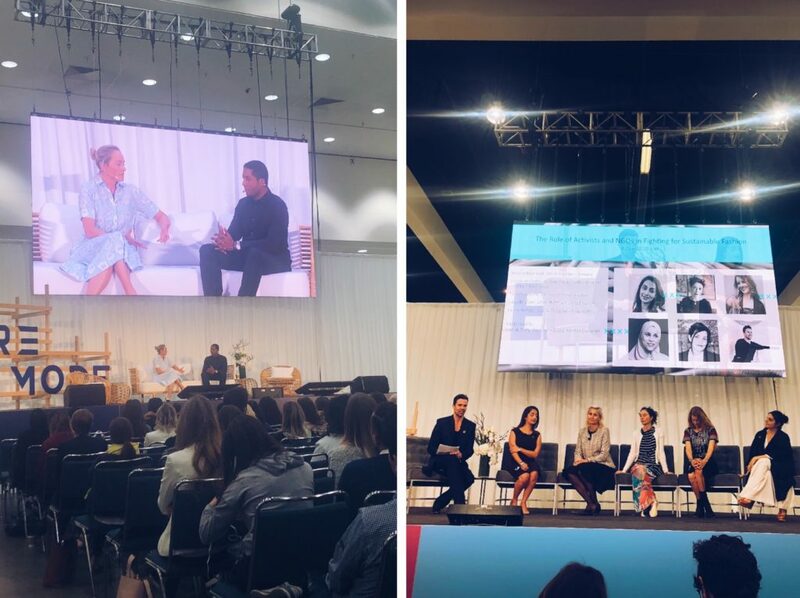 This year, at its 1st edition, over 1000 participants from all sectors attended the 2-day conference in the Los Angeles Convention Center (LACC) on November 13th & 14th, 2018. 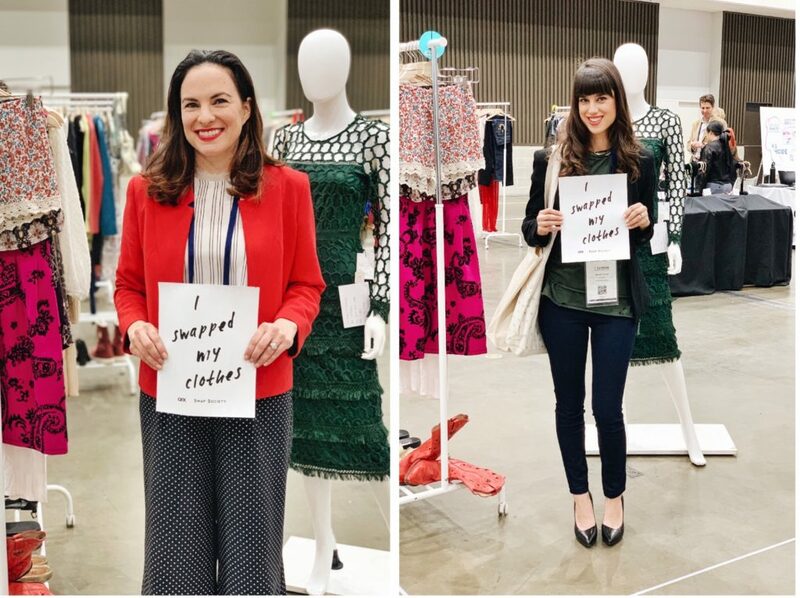 Decision-makers and stakeholders from retail, marketing, technology, finance, as well as NGOs met to encourage change in the fashion industry. 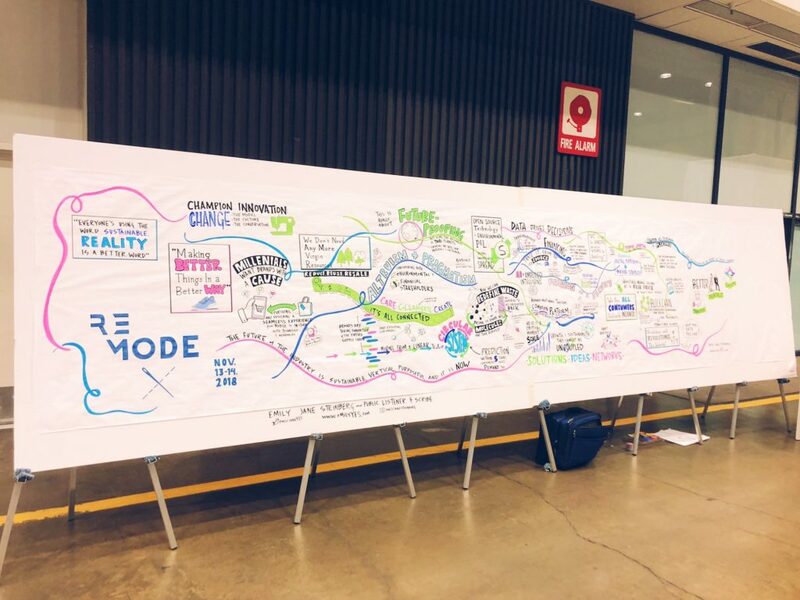 More than 75 panel discussions, workshops, exhibits and talks about current issues and solutions were organized into 4 pillars ReMarket, ReMake, ReInvest and ReThink each of them being performed on 3 different stages. This way, several talks were happening simultaneously. So we had to choose which sessions were most important to us. To get ready for the day, ReMode offered daily yoga classes from 6:30-7:30 AM for the ambitious early birds among us (and the jet-lagged ones 😴) right before the summit started. Everyone who owns a ReMode ticket can join the AI-powered Matchmaking ReMode networking app which technically works like Tinder but for sustainable fashion people. This resulted in over 2,700 matches and 1,600 meeting requests which were mostly held in the booth and restaurant area. Cool, right? We liked that you could just pass by a booth and talk directly with the company’s founder or business manager. We also had interesting chats and shared stories with industry peers at the restaurant’s roundtables. To top this off, we were invited to join one of ReMode’s themed dinners that took place in selected restaurants in downtown Los Angeles. 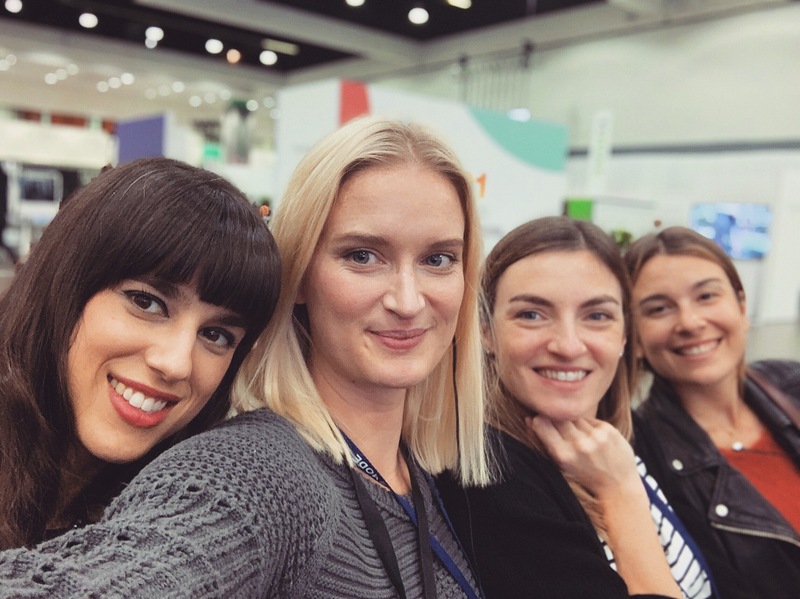 From left: Michelle Chavez (founder thetoteproject.com), Antonia Böhlke (founder MOCHNI), Clara Sharma (founder theiconable.com), Olivia. Surrounded by the 3 stages, 115 companies presented themselves with booths of different sizes. The biggest booth definitely was GALERIE.LA in the middle of the hall. 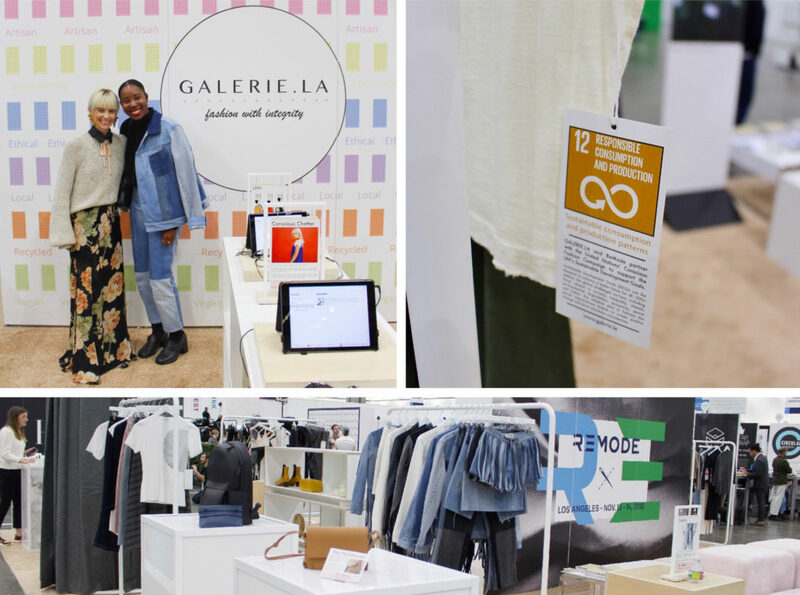 GALERIE.LA is an online shopping platform as well as a physical store in DTLA at The Row where you can shop sustainable fashion brands by their values (vegan, recycled, local, eco-friendly). 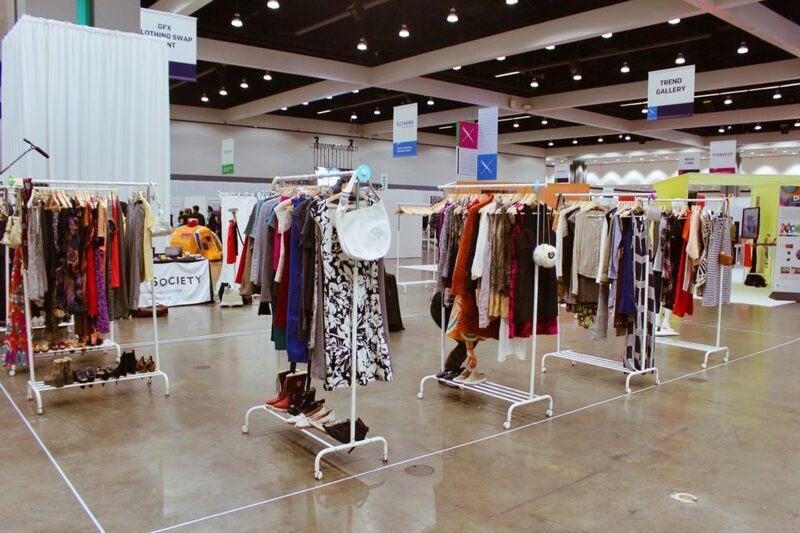 Founder Dechel showcased various sustainable fashion brands among them Triarchy, Noumenon, and Von Holzhausen. Each fashion item was provided with one of the UN sustainable development goals. 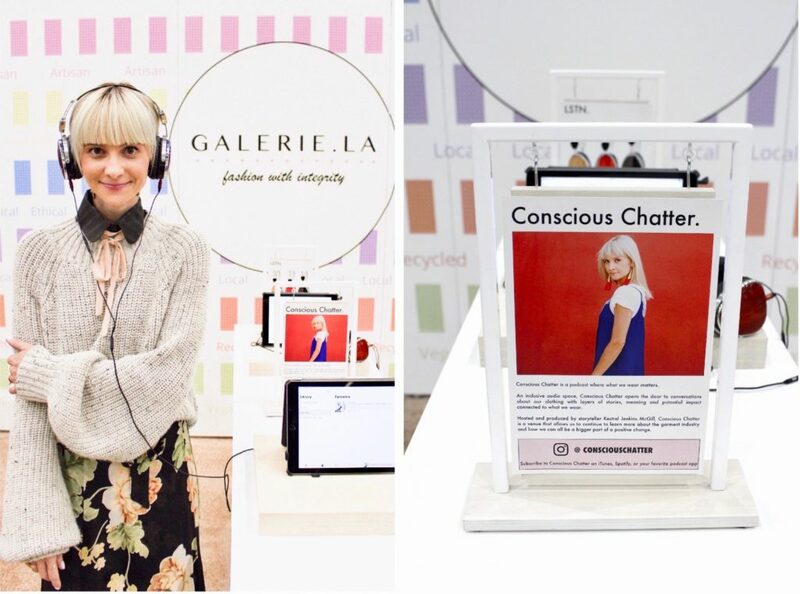 Also, the amazing Kestrel Jenkins showcased her podcast Conscious Chatter, an inclusive audio space where what we wear matters. GALERIE.LA booth at ReMode. Left: Conscious Chatter founder Kestrel Jenkins with GALERIE.LA founder Dechel Mckillian. Right: Fashion piece with UN sustainable development goals. Kestrel Jenkins, founder of her Podcast Conscious Chatter. ISKO, sponsor of the ReMode summit. ISKO is the world’s leading ingredient brand in quality manufacturing is committed to high-quality standards and an environmentally-friendly approach. ISKO, sponsor of the ReMode summit. We really enjoyed the United Nations’ Conscious Fashion Campaign. The initiative set 17 sustainable development goals to create positive change and drive conscious consumerism by 2030. MOCHNI founder Antonia picked goal 12: Responsible Consumption And Production. 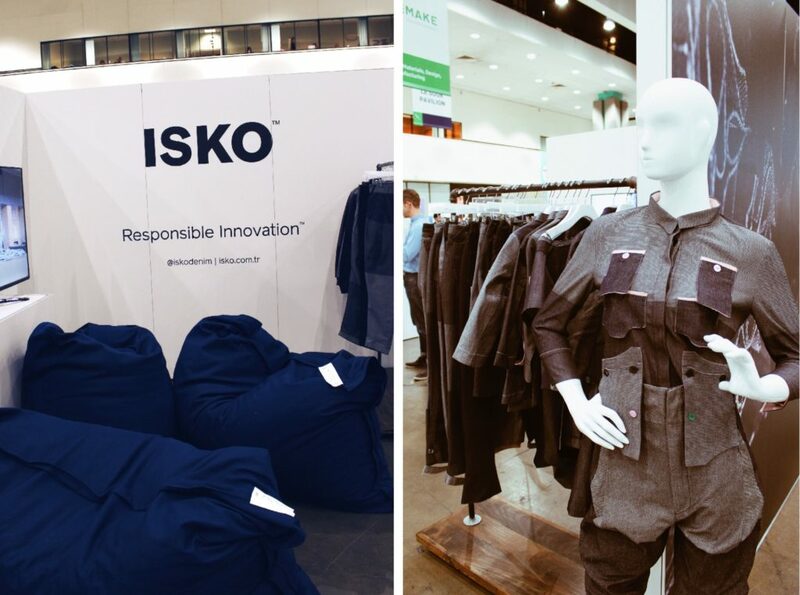 ISKO™, the main sponsor of the ReMode event was clearly among our favorites, too. The world’s leading ingredient brand in quality manufacturing is committed to high-quality standards and an environmentally-friendly approach. 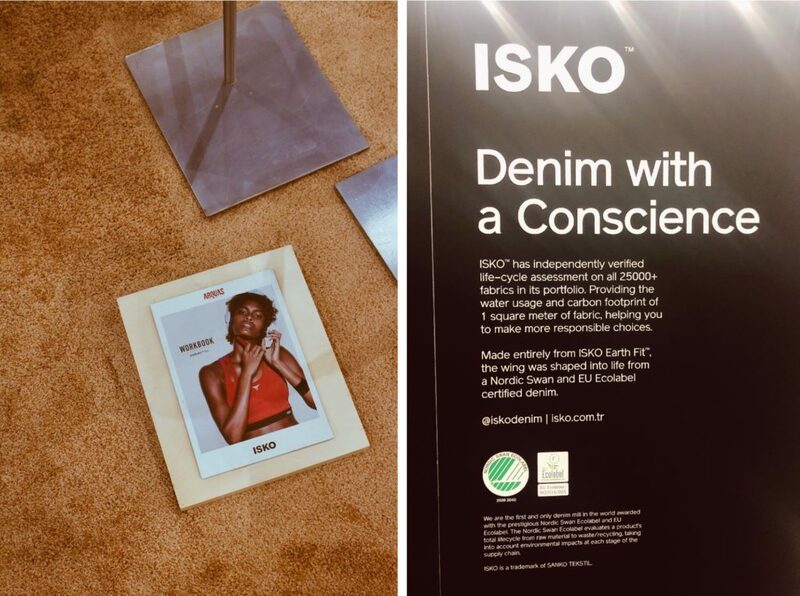 For its ISKO EARTH FIT™ collection, which is the only denim collection certified by Nordic Swan Ecolabel and the EU Ecolabel, the company collaborated with artist and fashion designer Lucy James who created impressive denim sculptures out of fabric scraps. Last but not least, we had a great time with Swap Society. Read our article on Swap Society here. MOCHNI founder Antonia Böhlke with Michelle Chavez from thetoteproject.com. Left: Swap Society co-founder Nicole Robertson, Right: Michelle Chavez from thetoteproject.com. How to build a sustainable brand? In what way can we design sustainable clothes at affordable prices? 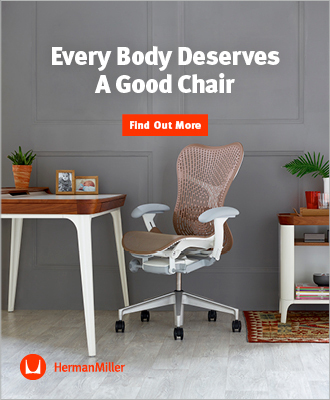 How to convince consumers to invest in a few long-lasting pieces? Could brands collaborate with NGOs to transform the industry? And what do designers have to consider when creating items in an eco-friendly way? These were just a few questions discussed in the sessions. Many of the featured speakers such as Amber Valetta (Model), Anna Gedda (Head of Sustainability, H&M), Orsola de Castro (Co-Founder, Fashion Revolution), Jennifer Silberman (Target), Laurent Claquin (Head of Kering), and Paul Dillinger (Levi Strauss & Co) also spoke at the established European version Copenhagen Fashion Summit this April. 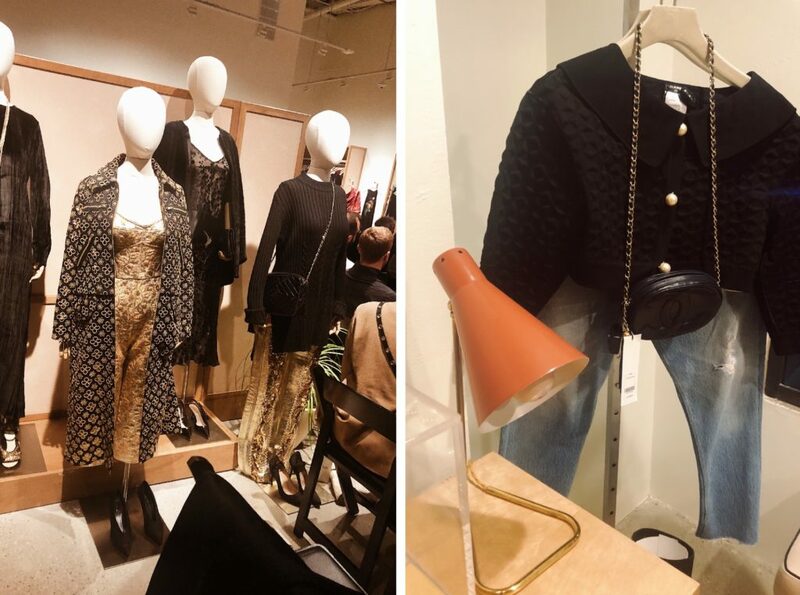 However, we were especially excited to listen to new speakers from US companies such as Reformation, Everlane, The RealReal, Studio One Eighty Nine, and Allbirds. We loved the authenticity and enthusiasm of Ayesha Barenblat (CEO & Founder at Remake), Patrick Duffy (Founder at Global Fashion Exchange), Morten Lehmann (Chief Sustainability Officer at Global Fashion Agenda), Celine Semaan (CEO & Designer a Slow Factory), Adam Taubenfligel (Creative Director at Triarchy), Tamsin Lejeune (CEO at Common Objective). 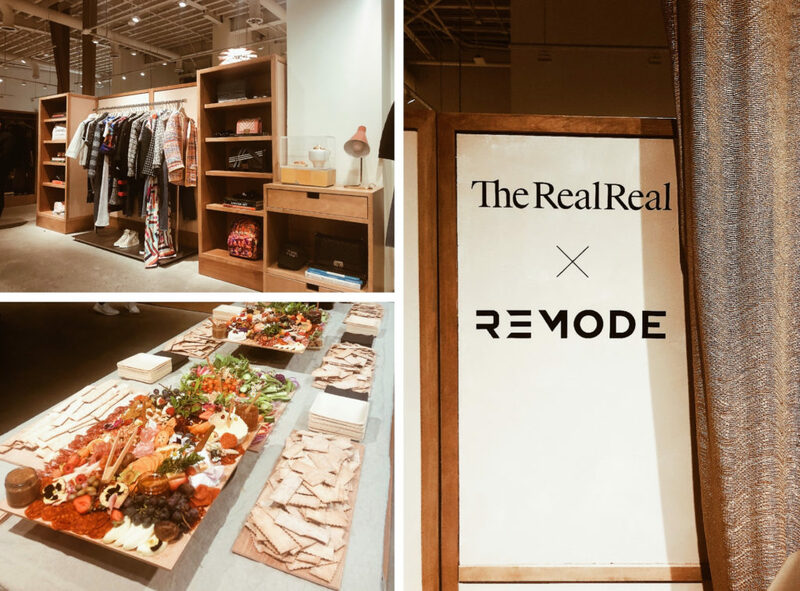 For the closing reception, we were invited to (the oh so stunning 😱) The RealReal’s new LA store on Melrose Ave where a panel discussion with style icon Garance Doré was held. Also wanna come next year? Then save the date, girls: October 29th & 30th, 2019 in Los Angeles, California. We hope to see you there! Tickets are available here soon. ReMode closing reception at The RealReal LA. 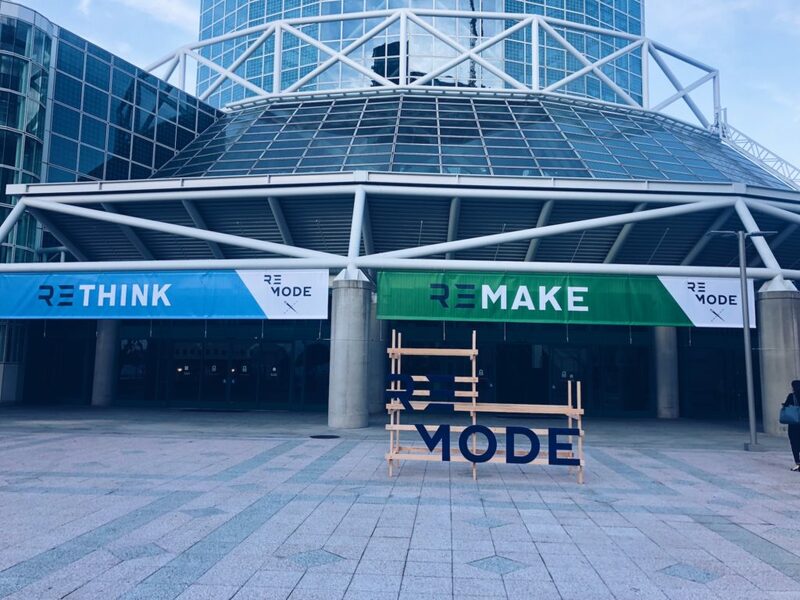 ReMode at the Convention Center in DTLA. Our founder Antonia Böhlke attended the ReMode as press guest. Let´s Make Sustainable Fashion Big!